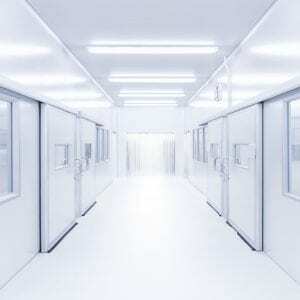 BIOMAX – our most protective, disease-resistant hygienic wall cladding sheet. Designed specifically to help combat the spread of disease and infection in vulnerable areas, BIOMAX incorporates Silver Ion technology which is added at the manufacturing stage ensuring full coverage inside and out. Famed for it’s anti-bacterial properties, Silver Ions naturally prevent the spread of disease and directly kill harmful bacteria. Recently inspected and certified by an independent laboratory, tests shows our BIOMAX hygienic wall cladding reduced Klebsiella Pneumonia by 87.38 % and MRSA by 99.98 %. 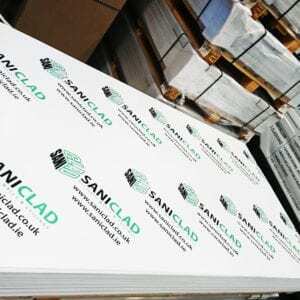 Available next working day, Saniclad’s BIOMAX comes with 20 year defect warranty and offers maximum protection at some of the industries lowest prices.